English is at the heart of everything we do – providing our children with a text-rich environment where their love of language can grow and thrive. “We learn stories with actions to help us remember them, then we can write our own! I love sharing these with Mummy.” – Isabella, Year 1. 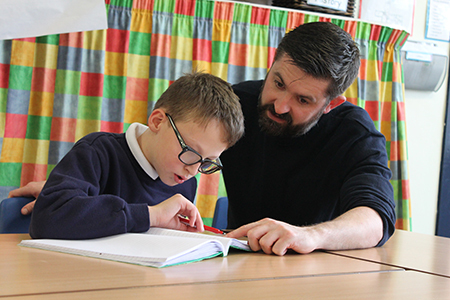 Internationally acclaimed poet, author and educationalist, Pie Corbett, is our ‘Patron for Reading’ – We pride ourselves on the passion for reading that we instil in our students.